Electric Fires for Fireplaces There are 13 products. 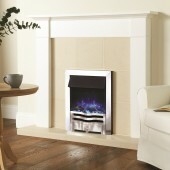 Electric Fire Dimplex Lymington LYM28E Radiant Outset Fire. 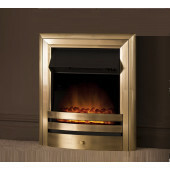 Gazco Logic Electric Box Profil Fire, Polished Steel Trim, Choice of Front. Gazco Logic2 Electric Chartwell Box Profil Fire, Choice of Colour. Remote Controlled Electric Fire Gazco Logic2 Electric Arts Box Profil Fire, Choice of Colour. Electric Fire Dimplex Optiflame Wynford WYN20CH Inset 2Kw Coal Effect. 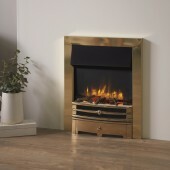 Electric Fire Dimplex Optiflame Horton HTN20CH Inset 2Kw Coal Effect. Opti-Mist Electric Coal Fire Dimplex Danville DNV20 Opti-Myst. Electric Fire Dimplex Optiflame Cheriton CHT20 Freestanding 2Kw Coal Effect, LED Bulb For Life*. Contemporary Electric Inset fire for fireplace fitting The "Ambient" 2 kilo watt electric inset fireplace fire The Ambient LED electric hearth mounted fire features a contemporary fascia and is available in a choice of three color options.